Founder of London-based architectural practice Amin Taha Architects, Amin Taha’s projects are a careful blend of contrast and function, with a good dash of playfulness thrown in. From the outside, you rarely have any inkling of what you will find when you step inside, yet the interiors of his properties manage to be both cosy and pared back, incorporating many whimsical ‘touches of delight’. His use of tactile, timeless materials in a range of finishes, such as concrete and wood, pays homage to a building’s history whilst gently preparing it for the future. It comes as no surprise that his highly liveable designs have won the practice RIBA and international awards, making him one to watch. 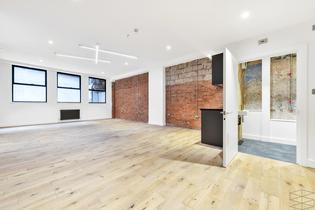 Here, he talks to us about two recent projects in London, one in Caroline Place, Kensington Gardens, and another in Clerkenwell Close, Islington. 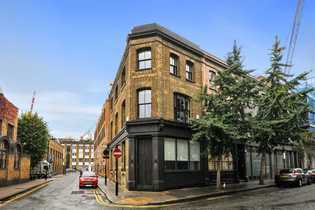 You are currently working on an apartment block at 15 Clerkenwell Close in Islington, an area steeped in history. What can you tell us about it? Taha: This project, which will be finished in a couple of months, is a mixture of offices and flats. There are eight large flats with 4-bedrooms at 220 sqm, 3-bedrooms at 120 sqm, 2-bedrooms at around 110 sqm and a one-bedroom flat at 80 sqm. 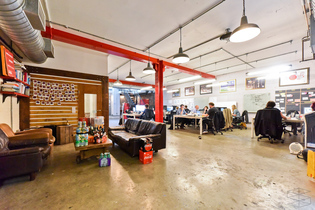 Office space is laid out across the lower two floors, totalling around 400 sqm. 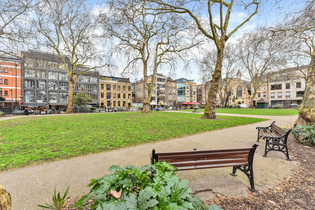 The site sits within Islington’s first conservation area in Clerkenwell, specifically St. Mary’s Nunnery, which was established by Jordan de Bricet in the 11th Century and who actually placed his wife there as the first abbess. Around 500 years later, Henry VIII dissolved the Catholic Church and its properties, giving the nunnery to his Earl of Northampton and the contents to the state. Over the years, the land was gradually parcelled off for large mansions – Oliver Cromwell occupied one during his dissolution of the monarchy – until the property boundaries became fixed into the meandering streets and houses there today. 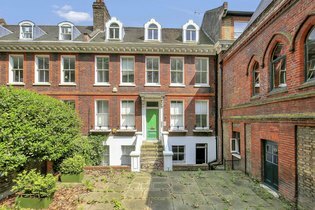 15 Clerkenwell Close was poorly rebuilt after the war and, therefore, offered a contemporary redevelopment opportunity to the client. Our office’s approach to design can be characterised as ‘explore, restore, ignore’, with the local history guiding the initial design steps. The invading Normans brought limestone blocks with them to build their superior castles and defences. Once they found those limestone seams on the UK mainland, Portland become the principle quarry for the next 1,000 years. They continued to use the unique qualities of the stone (soft for the first six months to allow fine carving before calcifying in the open air to become very hard) for cathedrals and secular buildings of importance. You went to extreme lengths to get stone that would mirror the stone used for the neighbouring church. How did you go about it? Taha: Our site faces directly onto the rebuilt Grade II* St. Mary’s Church – now known as St. James’s – which is built from Portland stone. Initially, we wanted to support the entire building with a loadbearing Portland stone façade with no internal structure. Unfortunately, though, a six storey loadbearing stone structure hasn’t been built in London for over 100 years. On visiting the quarry at Portland, we were told to follow the seam in reverse, i.e. back to France, as we no longer have the skills to extract and cut loadbearing stone over here. So we followed the seam across the channel. Incidentally, the seam is actually a 600-million-year-old coral reef. In France, we found a number of quarries and eventually one with the right depth, which was fairly shallow, to provide stone of the same age as the church, with visible sea and ammonite shells. At the quarry in France, we found whole sedimentary layers in the natural split cleavage of fossilised coral and areas of quartz. These are always cut off and crushed for road building so that clean faced stone blocks can be delivered to the stonemason’s yard. Quite late on in the design, we decided to allow the process of stone extraction and cutting to become part of the building’s expression. Single columns and lintels make up the support structure, grouted with a steel boss at their junction to pick up the sandblasted concrete slabs that are set 300mm back from the stone ‘exoskeleton’. How did you design the interior? Taha: Internally, the sandblasted concrete is complemented and softened with European oak cabinetry, full height doors and walls. Wet areas such as kitchens, showers, bath tubs and sinks are all carved from an Italian marble. All metalwork, including the window frames and door handles, are bronzed finished. Floor to ceiling glazing gives views onto the church, its adjacent park and to St. Paul’s Cathedral, the financial district and Renzo Piano’s Shard tower in the distance. There is a roof garden planted with tall grasses and feature windblown pines. At the ground level, we designed a garden planted with oaks and acers, both using a Sicilian pebble mosaic on the floor to echo the original nunnery’s courtyard patterns. Together, these reference and link the area’s history and building methodologies to provide something that is specific and unique. The apartments go on sale at the end of June. Three of them have already been reserved by local residents who watched the construction start 18 months ago. 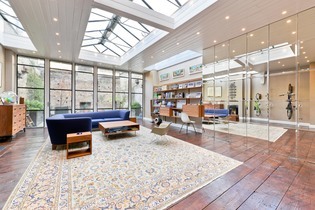 How did you go about redesigning the inside of the pied-a-terre at Caroline Place? 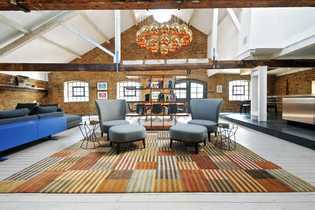 Taha: The brief was fairly free because our client preferred tactile and robust materials to be used ‘honestly’. As a family of five, the London house needed to accommodate their music practice rooms and a mix of entertainment areas for adults and the children with flexibility for friends and relatives to stay over. Stone, brass and cherry timber were used to their inherent advantages and qualities and allowed to patinate and age over time. All the floor levels are left structurally open with travertine throughout as the wearing surface including staircases and the courtyard garden. The travertine is finely cut and polished in habitable areas but more roughly cut and quarry split in others, including the underside of the staircase. This echoes the bush hammered finish of the subterranean walls and ceilings of the basement from which it rises and spirals to the roof. We also used floor-to-ceiling cherry wood cabinetry, all of which are equipped with sliding and folding doors that can close off rooms or pivot to expand living rooms or reduce them to form guest bedrooms. For example, we designed a Murphy-style bed for the music room and study. The playful dual use of cabinetry as doors and walls is expanded with en-suite bathrooms entered through wardrobes and also finished in yacht standard waterproof timber lining, with a Japanese timber bathtub, brass sinks and chainmail shower curtains. Taha: We fixed a brass owl to one shelf to symbolize knowledge. When you touch it, it releases a bookcase that gives you access to the wine cellar as well as to a secret passage to the garage and back street. Such ‘touches of delight’ here and there are important to provide some daily humanity for the house, allowing it to be more than an abstraction of living. How did you incorporate the history of the existing house? Taha: As the house was built immediately after the Second World War on a former bomb site, we imagined architects Carlo Scarpa and Mies van der Rohe approaching the refurbishment and intervention. That’s why we designed a ‘glass box’ in the courtyard garden using a brass cruciform structure. However, given today’s technology, we were able to use nylon bars and silicon glue to bond the structure and glass to overcome any thermal issues which, during his time, required Mies to fake his columns. Internally and externally, the materials are horizontally layered, rough and smoothly finished alluding to rock stratification from basement to roof level, including the staircase which cantilevers, spiralling from floor to floor. The stair’s balustrade is made up of a net of fine brass wires tensioned from roof to basement. Slightly offset at every level, the wires create a gentle twist to accentuate the movement of the oval spiral travertine stair. The ‘Scarpa’ elements, such as seating, island units and the entrance screen, are deliberately held off walls and floors, to be celebrated as artefacts. In that sense, for us, the project was an historical investigation with some original materials – such as the travertine – from that period. Cherry wood and travertine feature heavily here. What is your approach to materials? Taha: Our approach is to limit the palette of materials we use, even if the details are complex. Our goal is to introduce a calming atmosphere onto which the family will layer their furniture, pictures and lives. Amin was born in East Berlin to Sudanese and Iraqi parents. They later moved to the UK where Amin was schooled. 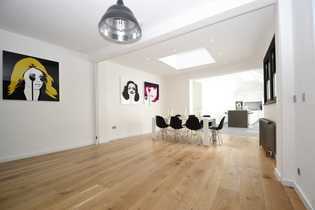 He graduated in Architecture from the University of Edinburgh. After working in the offices of Zaha Hadid, he set up his own practice which, after 10 years, he has turned into an Employee Ownership Trust. He is married to Sarah Arnold, an artist and writer and they are expecting their first child.